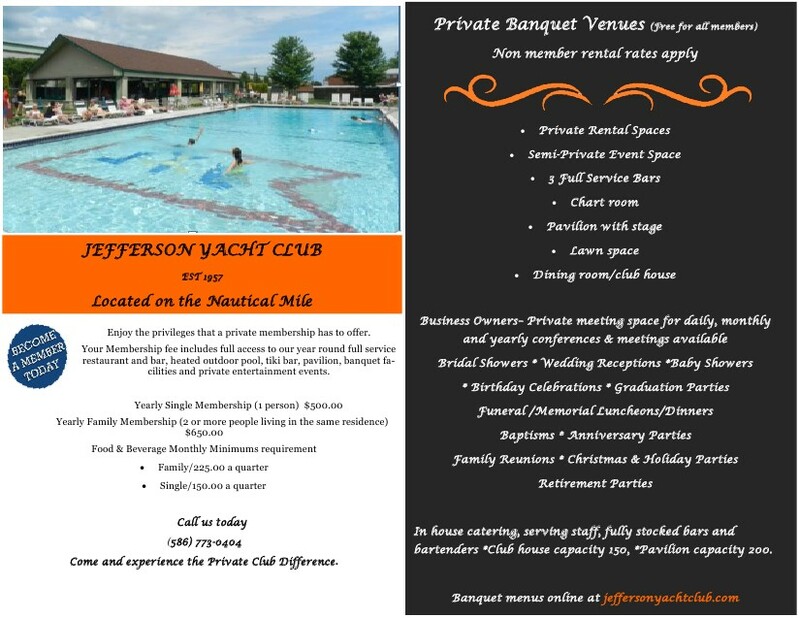 the Jefferson Yacht Club offers complete banquet services and complimentary parking. Glitter/Confetti is prohibited - a $200 clean - up charge will apply if used. The JYC Clubhouse offers accommodations for up to 152 persons. The clubhouse provides complete food and beverage service and dance floor making the clubhouse ideal for weddings, social gatherings, parties and meetings. The JYC Pavilion is a large open-air facility located beside the pool and can accommodate a large party with complete food and beverage service. The Pavilion has a stage for live entertainment and additional seating is available adjacent to the pavilion at poolside. The JYC Pavilion is an ideal location for social gatherings, weddings and parties in the spring and summer months. 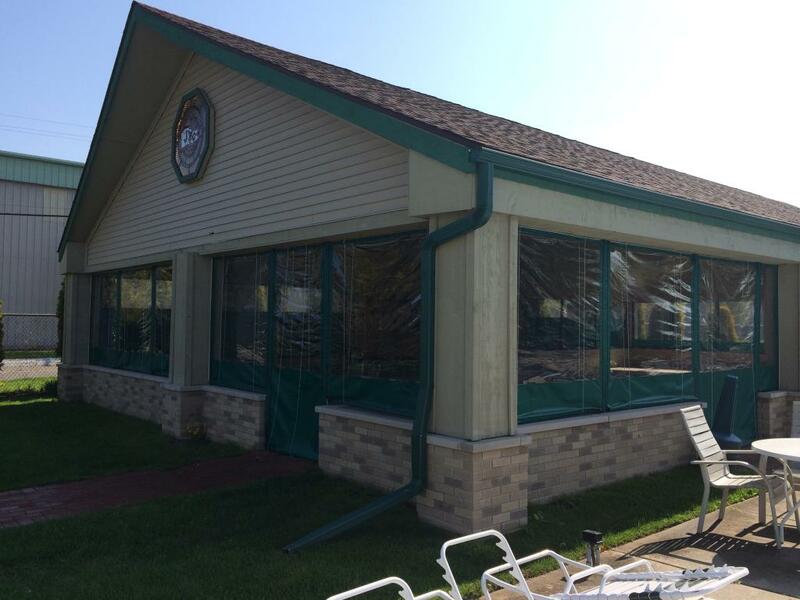 The club is in the process of enclosing and heating the pavilion to extend the season into the fall months. If you're interested in booking a fall event, please contact our office for more information. Need a meeting space? Available at no cost to members, the club offers individuals, entrepreneurs and small businesses an effective solution for meetings and luncheons. The Chart Room is a private room that can accommodate smaller meetings. Perfect for a luncheon or a staff meeting. Looking to host a larger event? Contact us for available space and dining options. The sponsoring member shall be responsible for the payment of all charges, any damages and the conduct of the guests. The club rules apply at all times. Wireless internet is available on the JYC properties. All decorations must be approved by management and be removed at the conclusion of the function. Smoking is prohibited in the clubhouse, tiki bar and pavilion in accordance with Michigan Law. Outside smoking is permitted in designated areas. All food and beverages must be provided by the Jefferson Yacht Club. All entertainment outside of the clubhouse must end before 11:00 PM.